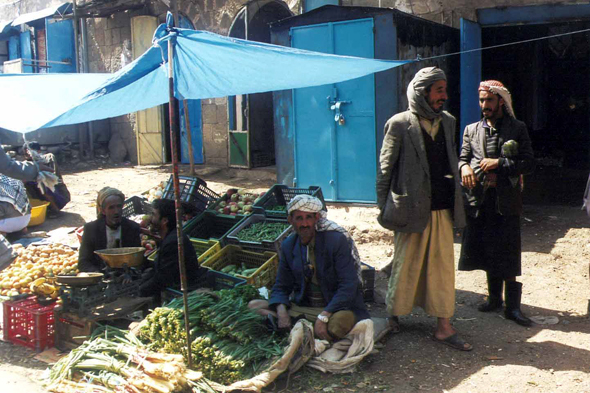 Fruit and vegetables at the Al-Khamis market. The area produces also qat. Much more lucrative than the coffee, qat replaced it in vast zones. The two trees often push side by side on the terraces.